United Airlines is possibly showing flights from Toronto to Sydney, Australia for $783 CAD roundtrip including taxes. I have seen fares on Fareboom before, that were only showing up on Fareboom (some really cheap fares to Japan from Western Canada), and they were able to be booked just fine. The Qantas flights to Australia that have been available lately in the $900s roundtrip are still probably the ones you would want to book (especially the 1-stop ones). But it's hard not to post what would be the cheapest flights ever from Toronto to Australia, even if they are on United. Update 6/27 @ 10:00 AM EST - Checking this morning, these are no longer working. There's still some in late February and March 2018 showing up for $783 on Momondo, but the price jumps to $837 when you verify them on Fareboom. 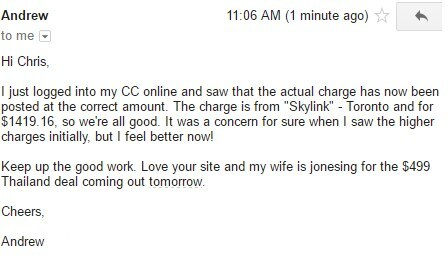 Update @ 9 PM EST - I have heard from 2 different people who said that they were charged a higher amount by ExploreTrip than what was shown on the verified price page. I'm going to remove this update for now. What can you tell me about ExploreTrip? As you've probably noticed, when you get to Momondo, the booking site showing the cheapest price for this deal is ExploreTrip. They're definitely one of the lower quality booking sites out there, and not normally one I would recommend, if a higher ranked booking site were showing this price. However, I can tell you that back in December of 2016 - ExploreTrip was the one showing the incredibly cheap fares from Toronto to Tokyo for $585 CAD roundtrip, and they issued the tickets just fine. With previous deals that I've seen from United over the years, as long as the third party booking site is able to get the 13 digit ticket # issued, that's all that really matters, as this means your ticket has been issued by the airline. You can use this ticket # to check your reservation directly on the airline's website. Your reservation is just as solid as though you booked with the airline itself. 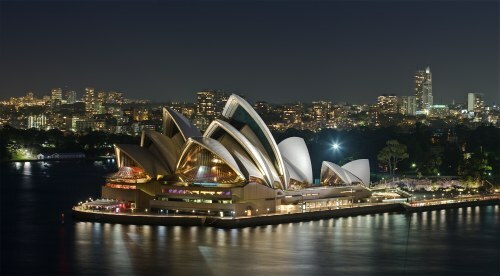 toronto, yyz, flight deals, united airlines, sydney, australia, syd, australasia and oceania. 3 Responses to "Toronto to Sydney or Melbourne, Australia - $700 to $783 CAD roundtrip including taxes"
Not seeing flights that low any longer. Was charged more than the flight price for the pending transaction, but once the transaction went through it was $711 round trip. THANK YOU!!! Glad to hear it NM! I have heard the same from all others who have booked this. Have a great time in Australia.